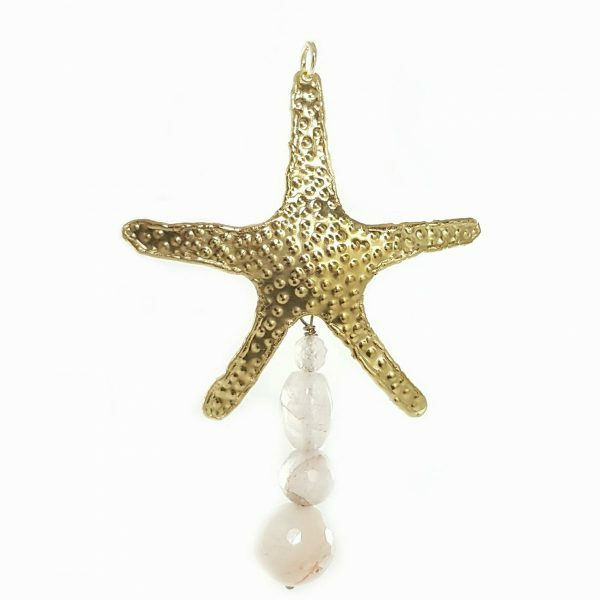 Starfish pendant. 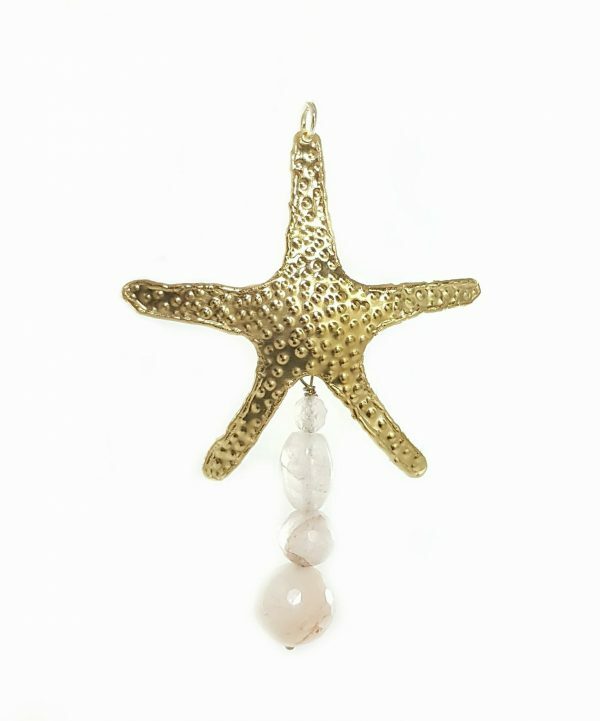 Starfish pendant. Pendant in naturalistic style, handcrafted starting from a brass plate. The jewel is finished with a gold-colored galvanic process and enriched with powder pink quartz in various cuts. Pendant in naturalistic style, handcrafted starting from a brass plate. The jewel is finished with a gold-colored galvanic process and enriched with powder pink quartz in various cuts.